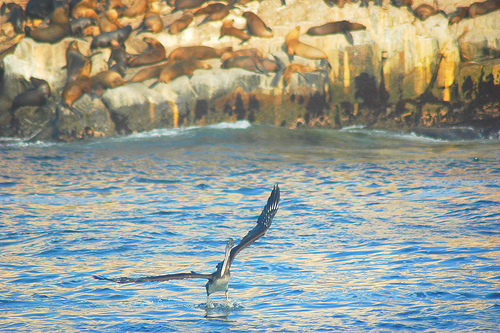 Callao is the largest and most important port in Peru. The city is coterminous with the Constitutional Province of Callao, the only province of the Callao Region. Callao is located west of Lima, the country's capital, and is part of the Lima Metropolitan Area, a large metropolis that concentrates almost one-third of Peru's population. Callao borders Lima Province on the north, east and south, and the Pacific Ocean on the west. Callao is built on and around a peninsula, the district of La Punta, once a wealthy residential neighborhood. An historical fortress, the Castillo de Real Felipe (site of "Rodil's Last Stand"), stands on the promontory overlooking the harbor. There is also a large naval base in Callao, in which the leader of the Shining Path rebel movement, Abimael Guzman, and Vladimiro Montesinos, the ex-director of internal security during the Fujimori regime are currently imprisoned. Lima's Jorge Chavez International Airport is located in Callao. 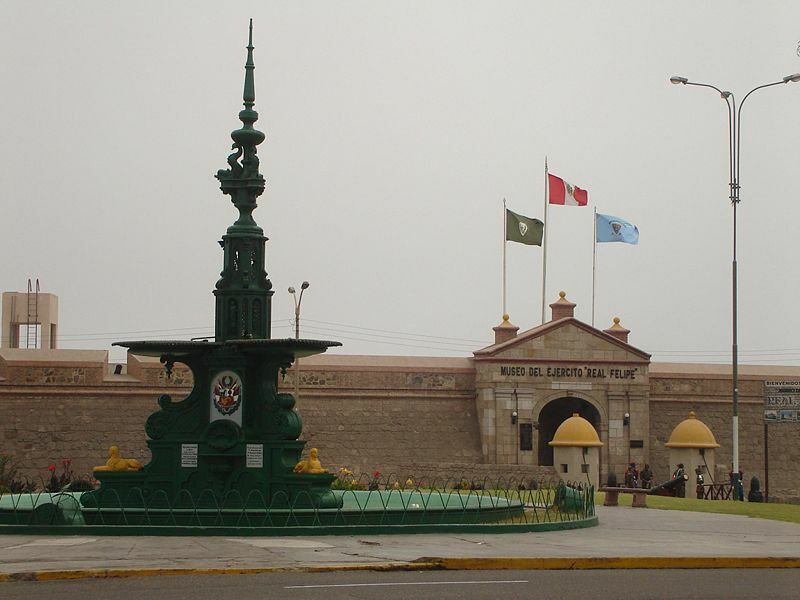 On a bluff overlooking the harbor sits Colegio Militar Leoncio Prado, the military high school Peruvian author Mario Vargas Llosa attended and made famous in his first novel, La Ciudad y los Perros (1962) (published in English as The Time of the Hero in 1963). The book was later filmed as The City and the Dogs and featured exterior shots of the school. 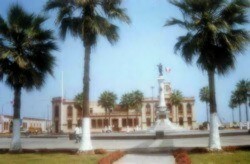 The city also has a university, the National University of Callao. Residents of Callao are known as chalacos.